Are you looking for a change of career working with horses that offers excellent benefits and rewards? Do you have an interest in Stud Work or Racing? The Programme For the past two years The National Stud has piloted a unique opportunity on behalf of the Thoroughbred Breeders' Association and the Racing Foundation to provide a comprehensive programme of FREE training and qualifications leading to a guaranteed job interview in the Thoroughbred Racehorse Breeding Industry.Whilst prior experience with horses can be useful, it is not critical to an applicant's success at interview. Some of the best graduates in the last two years had never touched horses before starting the course. A willingness to learn and work physically hard to achieve a successful career with Thoroughbred horses is however a must. 100% of the 2018 group have achieved their dream and are currently in full time paid employment (with accommodation) in the Thoroughbred industry. From the previous year over 90% have completed their qualifications and have been offered permanent contracts; this includes a finalist in the prestigious 2019 Newcomer Category at the international Godolphin Stud and Stable Staff Awards. The limited number of places for this free course will go fast so early applications are recommended. Interviews are held Spring onwards for the October start. 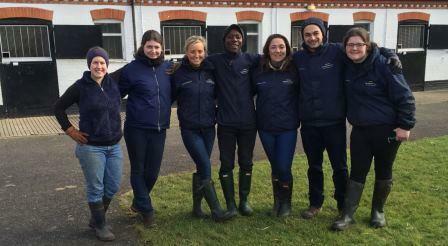 For more information please visit www.nationalstud.co.uk and look at the training pages, specifically under full time courses at the TBA's Entry to Stud Employment programme. For more about what we do follow us on our National Stud Training Facebook page. Applications can be downloaded from The National Stud website or contact the friendly training team on 01638 663464 to discuss the options. Applicants must be 18+ and looking for a physically demanding and exciting career working hands on with Thoroughbred horses. The outstanding success of the first two years of graduates in the industry has led to an increase in available funded places for October 2019. NO prior experience with horses is required, as initial skills and experience are taught and supervised through a funded residential training period before starting in paid full time work on a UK stud farm. Previous graduates of the course have come from very diverse backgrounds including prior professional and forces employment, job seekers or straight out of full time education. The usual age range is between 18 and 55. The 9 week residential programme at the National Stud is fully catered for in Westbrook House and completely funded by the TBA. E2SE trainees will need to have sufficient funds to purchase personal items, join in social events and get home in an emergency or on weekends off. If a trainee secures employment on a stud farm they will usually be provided with accommodation. This is likely to be in a shared accommodation unit and will be on a single occupancy agreement. There may be contributions expected towards the accommodation, i.e. some utility bills, but each case is individual. E2SE trainees will be paid for their work during their employment placement the rate of pay is variable, but will reflect their age and experience. 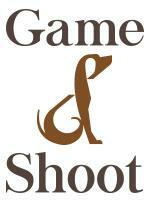 We are proud to have been offering training to the Thoroughbred breeding industry for over 30 years. Much of the training is fully funded and the Stud recruits and trains people on behalf of the stud industry and provides access to industry recognised qualifications and “hands on” learning experiences. Our courses cater for the novice looking to be the next generation of stud staff to the more experienced members of the current workforce who want additional skills or updating. Our training portfolio includes courses for administration staff, owner breeders, stud staff and those aiming to reach managerial positions in the industry.